Skype is very amazing app for calling. It provides you many wondering features. Its main features are voice calling, video calling, text messages and many more. You can also send different emotions as a text message. Skype also brings screen sharing option. It has ability to call on number of any of your contact and yes you can also share any file to your contact as an attachment. Now you can also make group calls through Skype. Its features are amazing and cool for all Skype users. Now we have some tools for Skype that helps you to customize your voice. 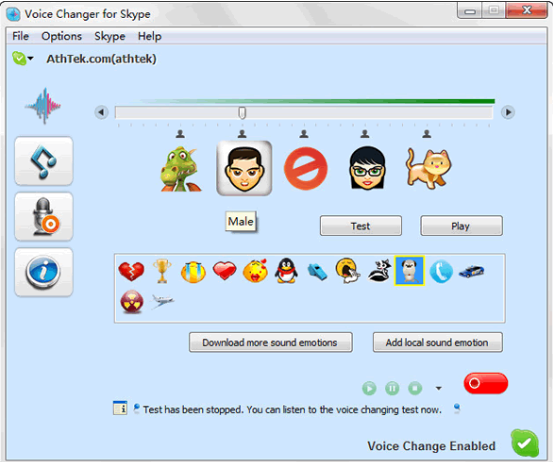 Below are some selected best tools for Skype voice changing. This is very cool tool which can change your own voice in a given effects and your own voice will not be send to whom you are calling. Your friend/contact will experience your new changes voice which is due to this interesting Voice Changer tool. Now you can talk in any voice you want like a robot, any animal or any other voice you want. This is now a fun time. Firstly you can hear the sound which you are going to select before calling then you may decide whether you like it to speech or not. It also records whole of your conversations. 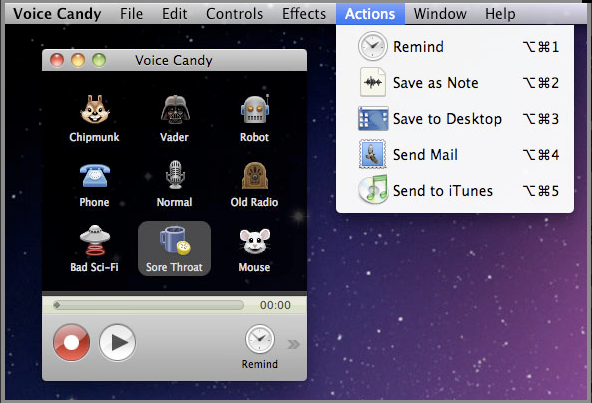 Voice Candy is specifically for Mac users. Voice Candy labels their product as “Photo Booth of voice software”. It is fun to make your voice changes with Photo Booth. But it has only 8 types of voice variation. That’s a little drawback of it. That’s why some people won’t go for it but its 8 options are good and exciting in use. It has also many features. You can edit and modify your voice and can share it to any app (gaming, calling or any other) that requires microphone. With this tool, you can be anything that is from boy to giant, girl to vampire or whatever you want. This is also a source of entertainment. You can also apply the effects on existing files or can be applied on real time voice. 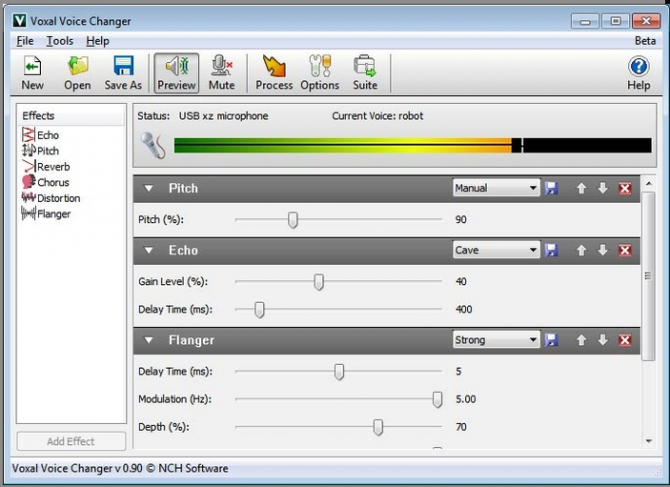 AthTek Voice Changer is another interesting tool for you that can dramatically change your voice. And convert your voice in any form. This tool shouldn’t be missed by anyone as this has lots of features and exciting functionality. It can convert a voice from a boy to girl and can send voice emotions that are funny to hear. 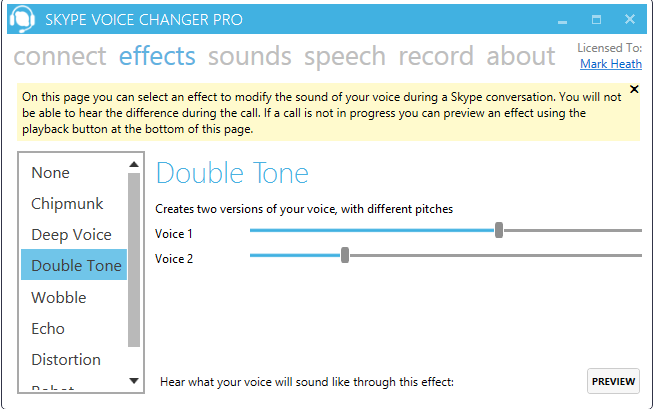 Thousands of users have downloaded this voice changer for their Skype. This is also a fun tool for voice changer. Its online translator interprets your messages in our own language and when you send it to any of your contact; it will interpret those messages in their language. It has translators of more than 50 languages and it supports search engines like Google, Bing, and Babylon. It also records your conversations and fun filled voices are also included in it so that you may send that voices to any of your contact for more fun. So these all are different free tools that may help you to change your voice for Skype. You may choose any one of them. All of them are reliable and easy to use.